Instant Pot as an alternative to a rice maker? Here in the frenzy, we love using rice. There is nothing that makes a meal like putting rice under and combination of random ingredients from the fridge. (Let's see... blue cheese... watermelon... tuna fish... over rice. Got dinner!) So we have a dedicated rice maker that we've used for several years. But is that the best way to supply our rice for those quick and easy meals? Since we joined the cult of Instant Pot, we've been exploring it's functionality. Since one of the 10 functions is making rice, we pulled it out and made some rice. It worked just fine. 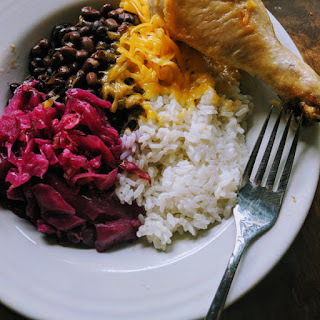 I'm not a rice aficionado, so if you can wax poetic about the perfectly prepared rice for hours then YMMV, but to me I had perfectly acceptable white rice out of the Instant Pot. I like the Instant Pot's flexibility. I decided to buy an Instant Pot rather than buying a dedicated yogurt maker. But now that I've already purchase the thing, I might as well work out all the ways it can help me in the kitchen. That being said, I'm not sure I'm going to throw out our rice maker. It still does an acceptable job making rice and I may want to have the Instant Pot making something to go on top of the rice. However, if you are trying to decide if you should buy an Instant Pot or a rice maker, I'd pick the Instant Pot in a heart beat. It can make rice and do 9 other things as well. Why not? We don't entertain large groups often. But when we do, we suddenly find ourselves calling around to friends and family to locate a second crock pot or perhaps more relevant to this post -- a second rice maker. (Or more likely we end up running to the store the night before to buy a second because we procrastinated on our preparation.) If you're going to be serving a large group with bibimbap or something similar, having the extra capacity for making rice is a good thing. In this case the Instant Pot may act as a pinch hitter rather than requiring you call around and find a second rice maker. Best of all, you don't take up cupboard space with something you pull out once or twice a year. If you look at what you paid for each appliance in your kitchen and how many times you use that appliance, what would be the cost per use? Some things we don't use often. I've already insinuated that my waffle maker could do more for me. But the Instant Pot has the potential to be used frequently. There is value in that flexibility. I couldn't tell a substantial difference between the rice maker and the Instant Pot. 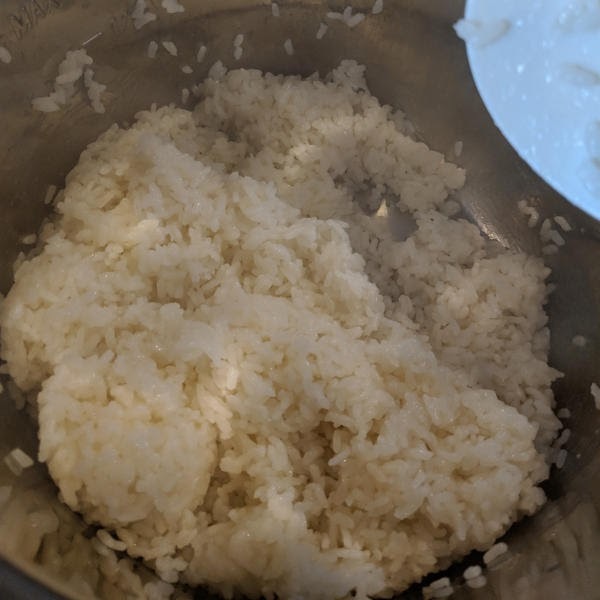 So the rice came out comparable, the time to make it was faster, and the biggest disadvantage seems to be that you're not free to use your Instant Pot for something different. In this case, I'd say the Instant Pot wins. Because I already have the Zojirushi, I have a sunk cost with it as well, so I'm going to keep it around. But if the frenzy that is embodied by toddler-hood breaks our rice maker, I will be strongly considering getting a second Instant Pot rather than just a rice maker. The cost of a mid-range rice maker is the same as an Instant Pot anyway. 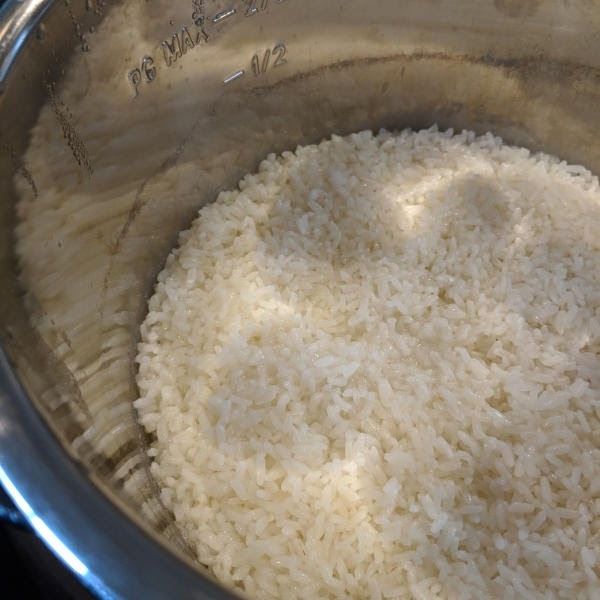 If you have an Instant Pot or have access to one, try making Instant Pot rice. If the end result is acceptable to you, then you may avoid the need to own a single function kitchen appliance. Especially if you don't make rice every day, it's a good alternative. If you've used an Instant Pot for rice, leave me a comment and let me know how it went. Or slam this post on Twitter or the Facebook Zijirushi fan club. Either way. Is your bond allocation worth working another 2 years? To Instant Pot, or not to Instant Pot?